and choose something that we absolutely loved to give up until Easter Sunday. Plus we would NEVER eat meat on Fridays during lent. My grandfather use to make either chile rellenos, shrimp patties, or ensalada de nopales, but there was always a pan of migas made for me. I was still not eating chile at that time and migas are sort of the kid friendly version of chilaquiles, since it’s the same concept minus the chile sauce. Needless to say I still practice lent, and I still love migas. 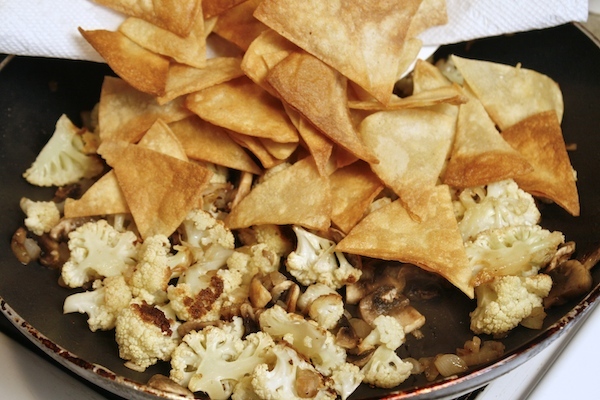 I made a vamped up version of vegetable migas for my son the other day and he went crazy for them. 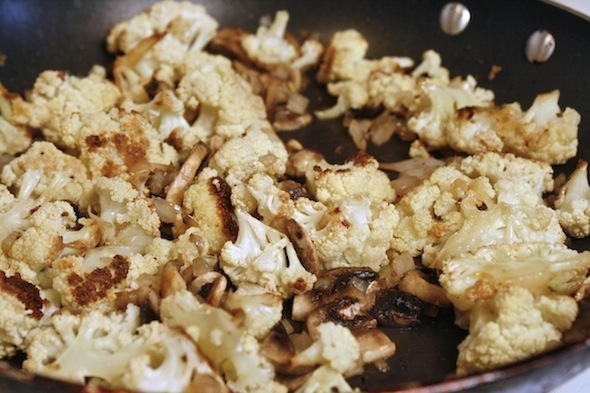 I sneaked in roasted cauliflower and mushrooms, and to be perfectly frank I couldn’t stop eating them either. 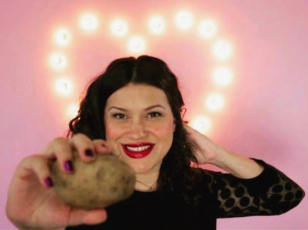 Giving up meat on Fridays for lent has never been easier. Wash and cut up a head of cauliflower. Then spread it out on a baking sheet. Drizzle with olive oil and sprinkle with 1 teaspoon salt. Bake for 20 minutes. Set to the side. 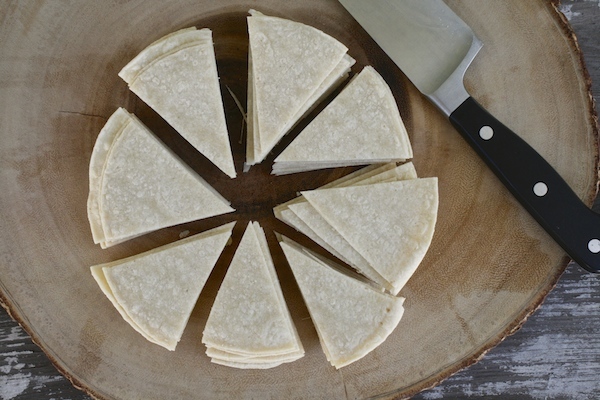 Cut corn tortillas into triangles. In a large frying pan over a medium flame add in vegetable oil. Allow to get hot. 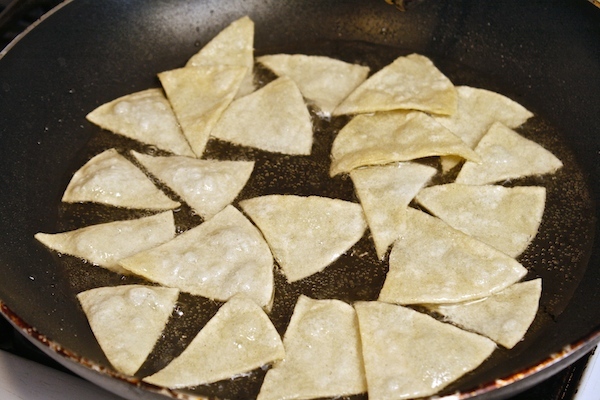 Fry the corn tortillas in small batches, flipping them often, making them into crisp chips. 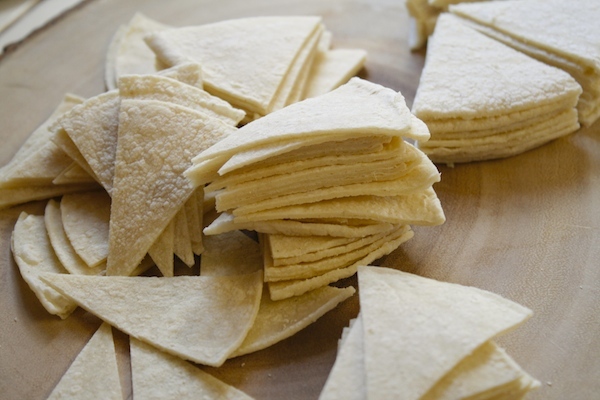 Remove chips from oil and drain on a paper towel lined plate. Sprinkle with 1/2 teaspoon salt. Drain out excess oil from the pan leaving just a teaspoon of oil behind. Place frying pan back over the flame and add in the onion. Saute for 3 to 4 minutes to soften. 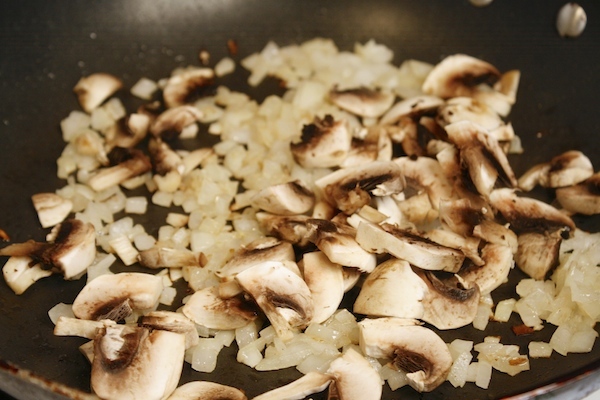 Add in mushrooms and continue to saute for an additional 4 minutes. 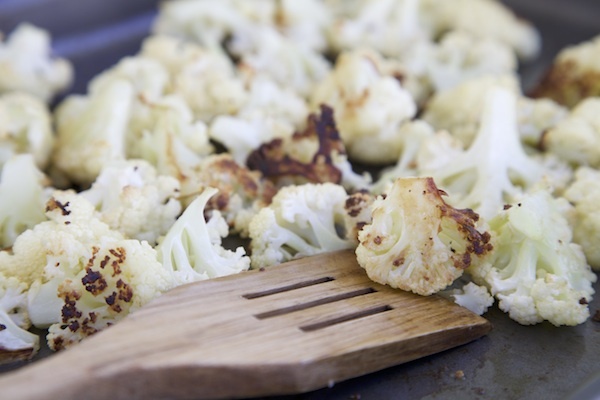 Add in roasted cauliflower. Mix to combine. 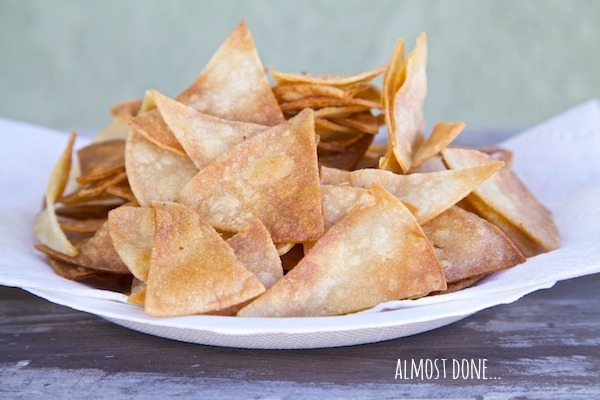 Add in corn chips and mix completely. In a bowl whisk eggs then pour them over the veggie/corn chip mixture. Mix to combine, and continue to cook until eggs are completely cooked. Sprinkle both cheese over the top and allow to melt. Serve hot, and garnish with sour cream and avocado. My love letter To Northgate Market La Habra! 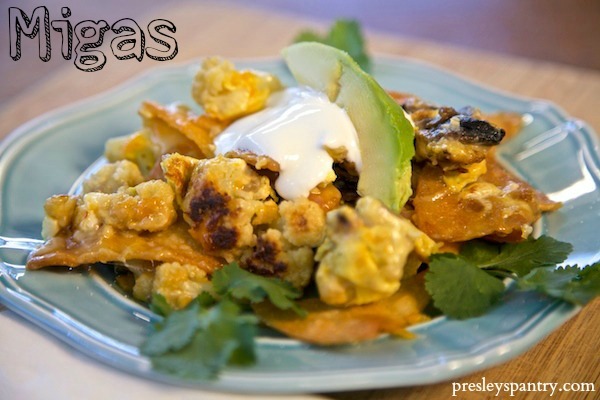 I love migas but only have when I am in Austin – have yet to make. 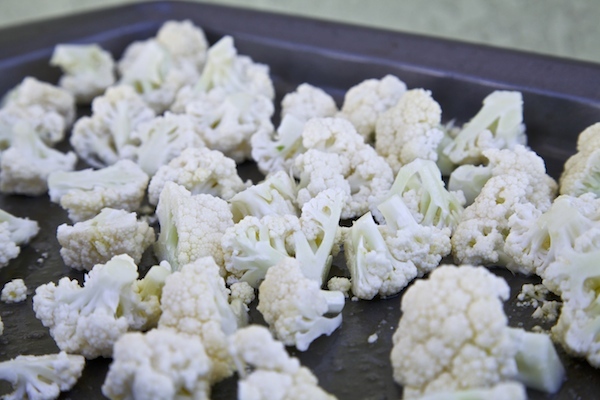 Like the addition of cauliflower to your recipe, probably adds a great crunch. Must try! 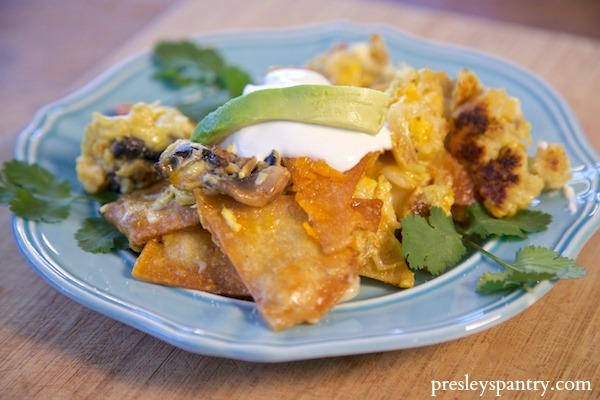 I tried your migas recipe….just loved it! Thanks so much for sharing….. I am not a catholic.. but I can’t wait to try this.. it’ looks like something I would love..